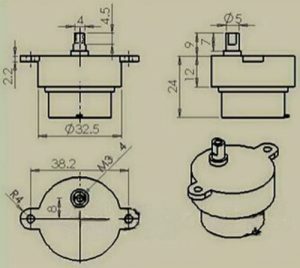 I have a couple of prop ideas that need a low speed motor. As usual I want it to be fairly weatherproof in case it rains while out on display. 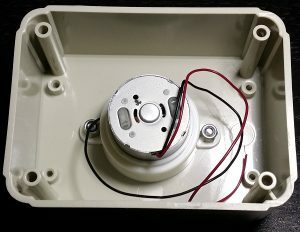 The motor is mounted into the top of the box (Altronics part number H0120). 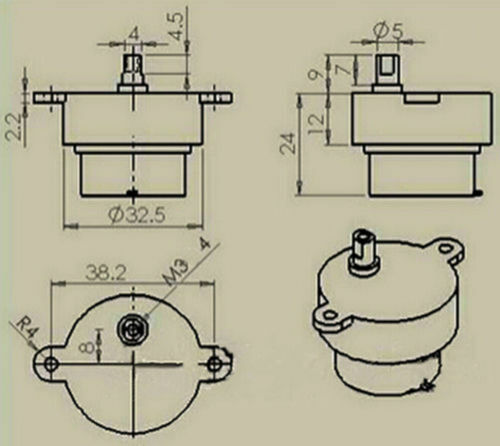 The mounting hole centres are 38.2mm and the shaft hole is offset by 8mm. 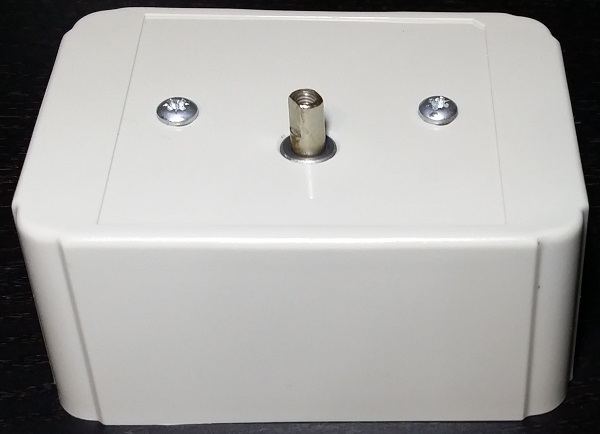 There is a lower height version of this box (H0119), but the back of the motor fouls the base. The motor was a 12V 14 RPM type (about $3.50 on eBay). M3 x 8mm machine screws and nyloc nuts were used to secure it. 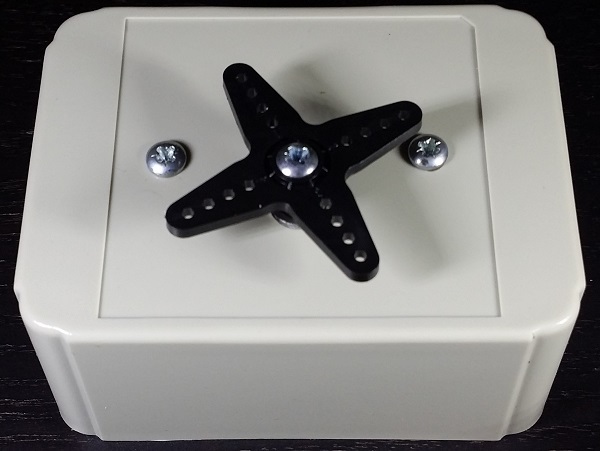 A standard size plastic servo horn fits over the motor shaft with just a little play. The thread in the shaft end is 3mm so I used an M3 x 6 machine screw. Since I won’t have a huge load on the motor, I just did it up tight. You could add a drop of loctite to secure it more if you wished. Dimension diagrams to help you drill holes in the right places!